The original way to rally Chamonix and Zermatt is by foot. This demanding yet rewarding itinerary is certain to please any avid walker. We will cross high mountain passes, traverse glaciers, view fauna and sleep in mountain huts. A legendary walk that is do-able for any keen walker with a sense of adventure. This is a trip that should not be missed. First evening welcome drink and itinerary briefing. This morning will be a leisurely start - so enjoy it as we won't have the opportunity to do so much during the week. We will meet late morning for a final equipment check before heading off to the village of le Tour (1450m) where the adventure starts! Things get underway with gondola and chairlift rides to reach the col de Balme - where our walk officially starts. The walk is relatively straightforward and easy but offers superb views of the Chamonix valley as well as Mont Blanc off in the distance. The final part of the walk gets steep as we ascend the moraine to reach the Albert 1er hut (2780m) where we will spend out first evening in the mountains. We walk up Le Tour Glacier and over the short but steep col du Tour (3289m). Here we pass into Switzerland and set foot onto the Trient plateau. Once we have crossed this vast glacier, we walk down to reach the Orny glacier, past the Orny hut and finally reach a good trail that brings us to the Breya chairlift and finally the picture perfect village of Champex where we spend alongside the lake. Very early in the morning, a bus ride then a train ride takes us to le Chable where we board a lift to reach Verbier and finally one last lift to les Gentianes. Now our walking day gets underway and what a day it will be. We head down the ski piste before out first ascent over the Col de la Chaux (2940m) - a rocky descent on unbroken trail brings some of the most demanding walking on the trip. Fortunately it is short lived and the train becomes better as we head towards the next obstacle the Col de Louvie (2941m). A typical lunch break is taken here before heading down to the Grand Desert glacier and up once again to reach the Grands Bandons and the Col de Prafleuri (2987m). This is the most stunning part of the entire week for me as we are as far from civilisation as we will can be. It is common to view marmots and especially large Ibex wandering through these parts. Fauna and flora as Edelweiss can also be found here if we're lucky. 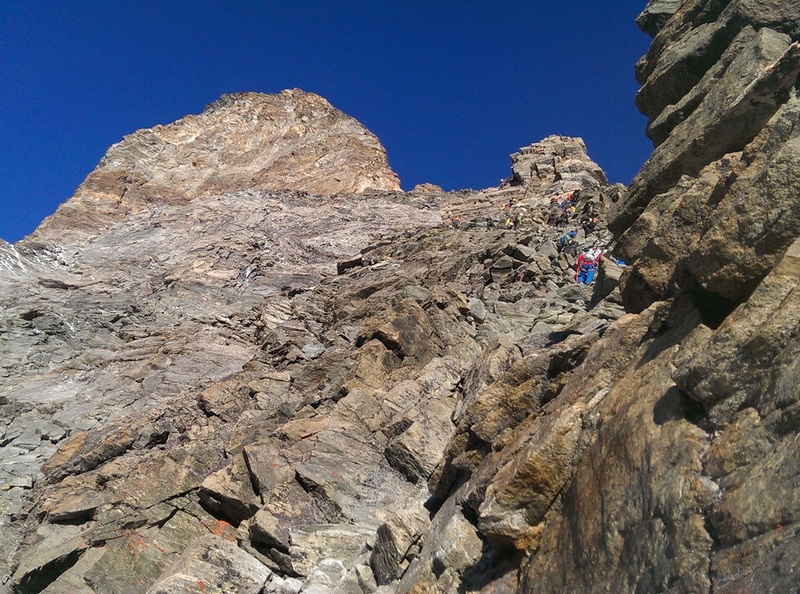 The final descent to the Prafleuri hut (2662m) is welcome as will be the beverages after a long thirsty day. 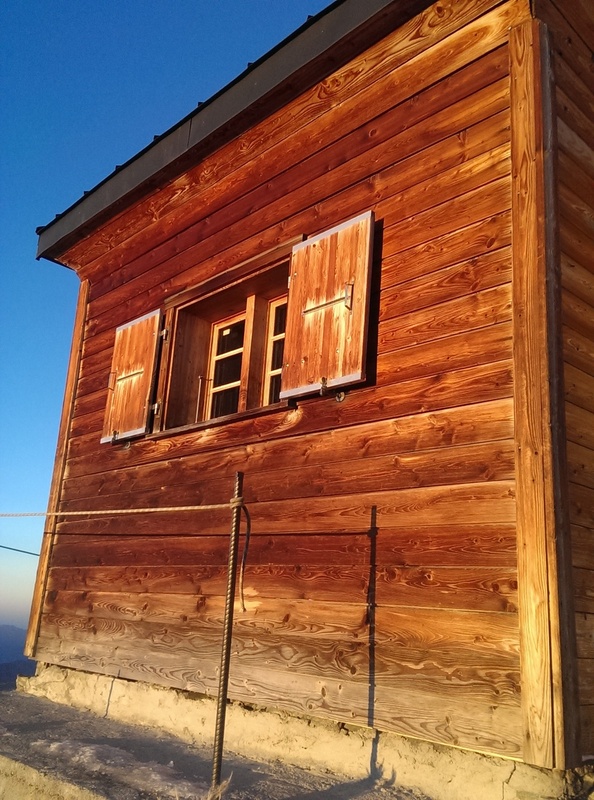 Evening at the Prafleuri hut. An alpine start is needed this morning as we have a fair bit of distance to cover. The journey starts with a quick, steep ascent to reach the Col des Roux (2804m) before heading down to the vast Lac des Dix. We'll walk parallel to the lake to reach the opposite end before ascending the Pas du Chat (Cat's passage) and ultimately reach the snout of the Cheilon glacier before one final ascent awaits us - up a series of ladders to reach the Pas de Chevres (Goat's passage - 2855m). A rewarding view is found here of the Arolla valley and the range beyond. From this point, it's all downhill to reach our final destination for the day - the charming alpine village of Arolla. Evening in Arolla at the Hotel du Glacier. It's an all uphill effort kind of a day but the reward will be worthy of your sacrifices. The day gets underway with an easy walk out along the valley leading up to the Arolla glacier where the views are nothing short of inspiring. Our walk brings up gradually stepper terrain until we reach the Plan Bertol (2665 m) and finally the relentless ascent to the Bertol hut (3311 m) - perched like a sentinel atop the ridgeline - epic could be a great way to describe the location. Evening at the Cabane de Bertol. An early start is necessary as we have a long day awaiting us. Our journey starts with the long gentle traverse out along the Mont Mine Glacier to reach Tête Blanche (3707 m) - a view that will be unforgettable with the Matterhorn smack in front of us. After a long hike down the impressive Stockji Glacier, we finally reach the Schonbiel moraine and finally one last uphill effort to reach the comfort and oustanding views from the Schonbielhutte (2694m). 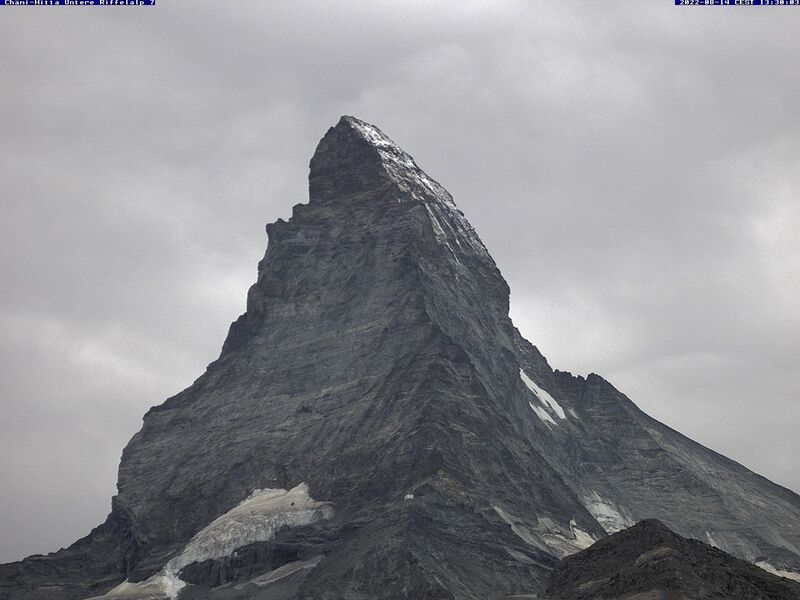 The location is nothing short of incredible as we are perched just opposite the Matterhorn. Today we have a leisurely breakfast in front of the Matterhorn before setting off down the moraine to reach easier ground and the charming village of Zmutt - where we typically have a late coffee before finally heading into Zermatt and the real celebration drink! This course is also available on a custom basis from the beginning of June through the end of September. You can custom choose your dates. Please inquire for availability. *Please note that I do not add an extra "fluff" days before or after. I consider that to be false advertising. My program is 7 actual days of activity. Good base fitness – some prior hill walking experience is very helpful. No mountaineering experience is necessary. Average length of the day is 6h of moving time and expect and average of day to include 800m vertical gain and loss. This course can also be based out of Zermatt, Switzerland. Mountaineering boots *. Leather is the preferred choice. Make certain your crampons work on them !